How to TipA handy guide for cheapskates and idiots. Why Tips WonThey’re outdated. They’re discriminatory. And they aren’t going anywhere. One Simple Stat Explains Why It’s So Hard for Restaurants to Eliminate TipsThe difference in pay for servers at one popular New York restaurant is shocking. Congress Just Introduced Legislation to Ensure Servers Get to Keep Their TipsA provision to the spending bill would clarify the Labor Department’s tip-pooling rule. 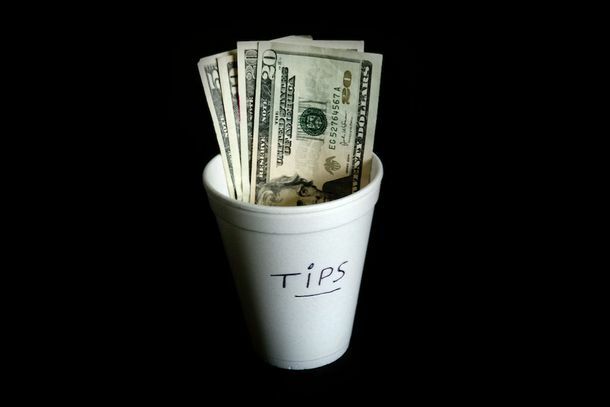 A New Report Details the Abuse Servers Tolerate for Better TipsThe power imbalance and subjective nature of tipping culture forces servers to endure behavior that wouldn’t be tolerated in other workplaces. Chain Bashed for Cold-blooded Tipping Policy That Makes Servers ‘Pay to Work’The legally dubious scheme takes 3 percent of the bill, regardless of the gratuity. Please Enjoy a Joyful Story About Big Tips Saving Christmas for ServersFinally, some good news! Start-Up Unveils Plan to Eliminate Tipping That Will Definitely WorkIt involves a Yelp-style rating system tied to a blockchain and cryptocurrency. Trump’s Labor Department Wants to Legalize Tip-Pooling AgainIt would let owners distribute gratuities however they see fit. As Danny Meyer Eliminates Tipping, His Staff Struggles to AdaptDanny Meyer’s decision to eliminate tips at his restaurants was called revolutionary. Behind the scenes, the rollout was rockier than anyone expected. Blue Hill at Stone Barns Is the Latest Restaurant to Eliminate TippingA 20 percent administrative fee will be added to the $258 bill. Danny Meyer Will Eliminate Tips at Gramercy Tavern on December 1The popular restaurant is the latest, and highest-profile, to adopt the owners’ Hospitality Included program. Restaurateur Gabriel Stulman Reinstates Tipping at FedoraThe owner of several restaurants had been testing out a gratuity-free system, but says it didn’t work out as well as he’d hoped. Here Are the NYC Restaurants That Have Eliminated TippingWhere to eat if you want to go all service-included, all the time. Gabriel Stulman Jumps on the No-Tipping BandwagonHe’s changing his policy at Fedora to start. Andrew Tarlow Joins the No-Tipping MovementAll of his restaurants will be gratuity-free by the end of next year. Two Former Employees Are Suing Danny Meyer Over Unpaid WagesThey claim they should have been paid more per hour. Eleven Madison Park Will Eliminate TipsThe restaurant will go service-included in 2016. Customers Are Still Tipping in Spite of Danny Meyer’s BanThe Modern’s conspicuous “hospitality included” notice isn’t fazing stubborn diners. A Nationwide Restaurant Chain Has Eliminated TippingJoe’s Crab Shack will go gratuity-free at all 130 locations. 5 Big Takeaways From Danny Meyer’s No-Tipping Town Hall MeetingDanny Meyer’s Union Square Hospitality Group hosted 100 guests for a question-and-answer session about their decision to implement a “Hospitality Included” policy. 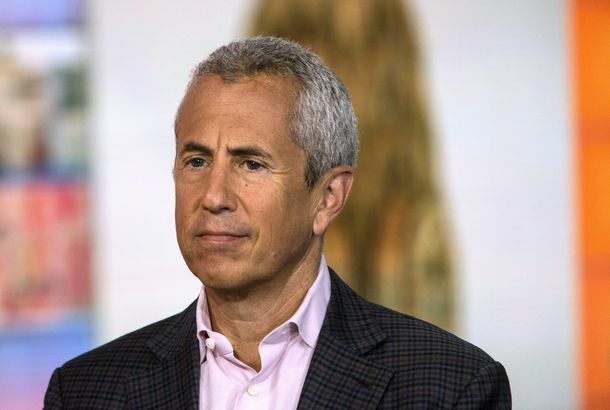 Danny Meyer Will Get Rid of Tipping at All of His RestaurantsWithin the next year, he plans to implement a “hospitality included” program and raise wages for employees. Court Says a Dunkin’ Donuts Owner Can Keep Workers’ Tips If SheAnother reason why the tipping system is broken. How a Raised Minimum Wage Affects RestaurantsThe Pok Pok chef says new state regulations have the power to change the entire restaurant landscape. New York Raises Minimum Wage for Tipped Workers to $7.50Will this push restaurant owners to abolish tipping altogether? How Service Charges Could Fix America’s Tipping ProblemAlinea owner Nick Kokonas explains. We Are the 20%: What Tips Mean to Servers, Bartenders, Doormen, and BaristasYour server is definitely judging you. Is It Time to Topple Tipping? Adam Platt Tries (and Fails) to Go Gratuity-FreeI decided to conduct a rash experiment: I would try to dispense cash based on merit rather than out of obligation. Seamless Will Make It Harder for Restaurants to Steal Delivery Workers’There was nothing in the services contracts about passing on gratuities. The Ultimate Tip-Earner Is a Walking Waitress Cliché, According to Science A handy list of all the ways your tips are often discriminatory. Restaurant Check Sermons: The Weakest Kind of Power GrabIf the only way you can express your views is by stiffing servers, you are a sad, weak individual. Watch What Happens When Servers Receive Unexpected $200 TipsIt will make you feel at least a little warm and fuzzy.